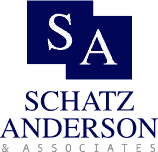 This article is from an interview with Utah DUI defense attorney Jason Schatz. This portion is regarding common mistakes during and after DUI arrests. Interviewer: What mistakes do you see people make once they’ve been arrested for DUI that hurt their case? Attorney Schatz: The first mistake is, they wait too long to hire an attorney. DUI cases are extremely time-sensitive. In getting a DUI arrest, you actually get two cases. You get the driver’s license division on one side, which has the legal authority to suspend your license, charge you reinstatement fees, and put restrictions on your ability to drive. You have the court case on the other side, where you’re facing the actual criminal charge subject to fines, jail, community service, counseling, and probation. You don’t automatically receive a driver’s license hearing. The only way you have a chance to fight that suspension is if you take the affirmative step of filing a written request for an administrative driver’s license hearing, and that request has to be postmarked or received by the driver’s license division within ten calendar days of the arrest. Oftentimes, people don’t understand the distinction between the driver’s license division and the court. They just assume that the court is going to notify them when to appear. They don’t read the fine print on the citation to understand that they actually have this responsibility to request a driver’s license hearing in order to try to fight the suspension. If a request isn’t made, the suspension is automatically imposed. The first thing people do is, they tend to miss that deadline unless they contact a lawyer soon enough. The other thing that happens is if they wait, there are oftentimes pieces of evidence—in particular videotapes from patrol car video cameras or videos that law enforcement agencies have from the cameras in their Intoxilyzer rooms at their police departments or at the jail—that can be lost or taped over. There are more and more video cameras out there, but the information isn’t stored forever. Some police agencies only keep their videos for seven days. Some of them keep them for 30 days. Others keep them until the case is resolved. You also have a lot of video cameras in private hands. Every gas station, every grocery store, businesses, have surveillance cameras. I’ve gotten videotapes for DUI cases from everything from a 7-Eleven, a Smith’s grocery store, the post office, and the actual courthouse where the case was being handled. I had a case where I was able to obtain the surveillance videos from the courthouse cameras and use that as evidence in the criminal case. If people don’t act quickly and hire an attorney so that attorney can take steps to preserve that evidence for use, sometimes those videotapes are lost, and once they’re destroyed, they’re destroyed, and there’s nothing we can do about it to recreate it. In many instances, because law enforcement is not legally obligated, there’s no statute that says they have to record somebody during a DUI arrest, the loss of those videotapes just works to the disadvantage of the driver. If it’s the driver’s word versus the police officer as to how he did something or what was said or how it was performed, a judge, jury or a hearing officer is generally much more likely to believe the police officer’s version. If it’s the police officer’s credibility and his version versus what’s shown on the videotape, the videotape is incapable of telling a lie. It always tells the truth, where humans are mistaken. The videotape oftentimes is more helpful to the defense than it is harmful because it evens the playing field because then we don’t have to rely on the officer’s recollection. We know exactly what happened and we know whether or not the officer did things right or wrong. That’s sometimes the best defense that the driver has. Interviewer: Do you find people think that if they’re just truthful with the police, if they tell them everything, that the police will let them go? Can someone talk their way out of an arrest? Attorney Schatz: That’s a huge mistake that people make. Oftentimes, people think they can befriend the officer, or if they tell them, “I’ve only got four blocks to go,” or they offer to have somebody come pick them up. I can pretty much assure you that that may have worked 20 or 30 years ago if you lived in a small town. The officer might make you park your car and walk home. That is not the case in this day and age. Police officers will pull over other police officers who’ve been drinking. No one is exempt. Oftentimes, all of their traffic stops are caught on video, and certainly, it would not show them doing their duty to be letting another driver, who they may believe is impaired, to simply leave the scene. Officers are also concerned, I think, when they decide whether or not to arrest somebody, and they are always going to err on the side of caution. In the back of their mind they’re thinking, “I’m not sure if this person is impaired, but what would happen if I let this person drive away, and they drove two miles down the road, got in an accident and killed somebody, and that personal injury lawyer found out I had stopped that person two minutes earlier and let them proceed?” Then the next thing you know, it’s going to be the Utah Highway Patrol named in that lawsuit and next to the driver who actually caused the accident. Talking your way out of a DUI just doesn’t happen. I’ve seen many people attempt that, and actually, it makes it worse, because it looks like they’re trying to weasel out of something, or they’re trying to work the system. Obviously, other people don’t appreciate that, particularly jurors. I think that’s a big mistake. My advice to people is, if you’re stopped, provide the officer with your identifying information, your name, your address, your phone number. Be polite, be cooperative, but don’t volunteer any extra information. Don’t answer questions about where you’ve been, what you’ve been drinking, how much you’ve been drinking, where you’ve been drinking, who you’ve been drinking with. Those are activities that you’re not obligated to tell the officer. Invoke your 5th Amendment right to remain silent. Provide them with the identifying information, but don’t provide them with any additional information that they could then use against you. Interviewer: Have you seen people posting their side of the story about their case on social media or talking to friends? Has that come back to haunt them in DUI cases? Attorney Schatz: I always tell people, “Don’t discuss the case with anyone else but me,” because anybody you discuss the case with becomes a potential witness. I don’t see a lot of people necessarily posting information about their DUI on the internet. But, if it’s St. Patrick’s Day and on your Facebook page you’ve posted a bunch of pictures of you at the bar drinking, carrying on, having a good time, and you’re arrested that evening—if somehow the police or the prosecutor get their hands on that, that’s certainly something that could be introduced as evidence against you. Probably the biggest mistake I see people make is I’ve had several clients who’ve been on probation, and part of their probation, for example, is that they not be consuming alcohol while on probation. They don’t have security settings on their Facebook, Twitter, or Instagram account, and a probation officer will search their name and pull up photographs, or even photographs that they were tagged in by other people, showing them at the bar consuming alcohol, when obviously their probation prohibits them from consuming alcohol or being in bars in the first place. I’ve had several clients actually receive probation violations when the evidence of the violation was things that either they or their friends posted on social media sites showing them engaging in activity that they’re prohibited from doing. – Don’t delay hiring an attorney. – Request driver license hearing immediately. – Consider recording; more video evidence can be a good defense. – Be polite and cooperative, but don’t volunteer information. – Don’t share your story with others or on social media sites.